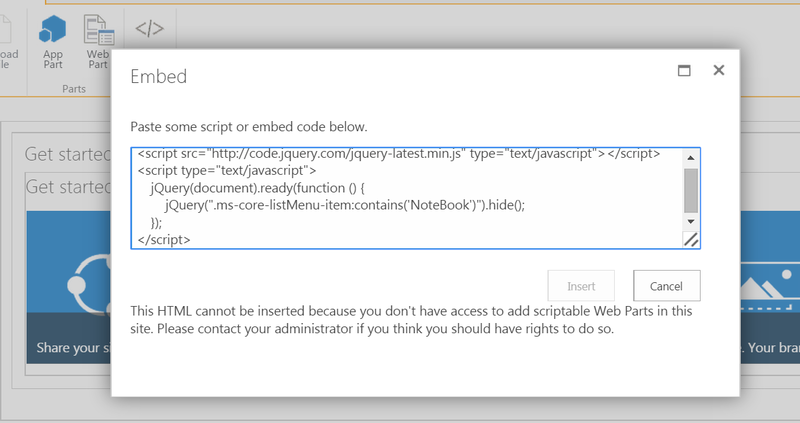 Purna's MORE SHAREPOINTS : SharePoint Online :This HTML cannot be inserted because you don't have access to add scriptable Web Parts in this site. Please contact your administrator if you think you should have rights to do so. In Custom Script Section select the option "Allow users to run Custom script on personal sites and selfservice created sites.."
Note : As mentioned in the screen, to apply these changes it may take 24 hrs. Hi, Very nice description about SharePoint Project Portal. Sites for Groups doesn't seem to pick up on that setting. Any tips?